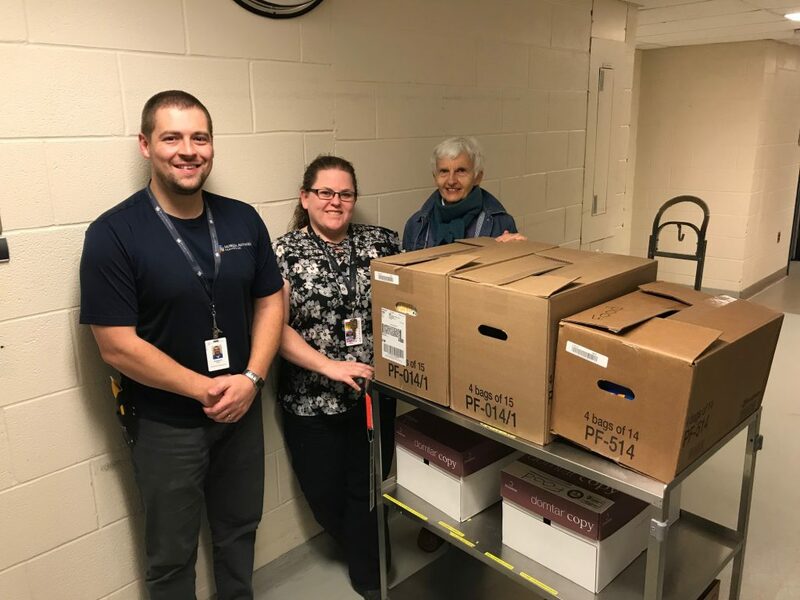 Kudos to Kayleigh at the South Muskoka Memorial Hospital for organizing a very successful in-house food drive, and thank you to the employees who contributed! Shannon, Jen and Sam with Manna donations from SMMH staff. Donations were sorted and boxed by Shannon and Jen for Manna volunteer Sam to take to the food bank. A welcome contribution to keep our shelves stocked as we enter our busy time of year. Thank you to all who participated.